Alaa Jabbar Jumaah is from Iraq. 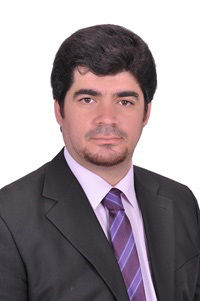 He received his Bachelor Degree in Electronics and communication engineering from the University of Baghdad, and his Master Degree in Laser / Electronics and communication engineering from Institute of Laser for Postgraduate Studies, University of Baghdad. During his Master program, he completed his Master Thesis entitled “Experimental Investigation of Modified Ping – Pong Protocol” as a visiting graduate student in the Key Lab of Quantum information, School of Physical Sciences, University of Science and Technology of China (USTC). He possesses a background in Electronics, Photonics and Optical fiber communication systems, Quantum cryptography systems and its protocols, single photon detectors. His interest in optical and radio communications led him to join the group of Nanophotonics and Terahertz Technology Group at TU-Darmstadt in December 2016. As part of the CELTA project, his PhD will be focused on Graphene-Based Terahertz electronics and photonics for sensing. This project aims for exploring the graphene-based and graphene-enhanced devices for sensing applications. This includes functionalized graphene layers as an exposed two-dimensional electron gas for highly sensitive and specific sensors and THz sources based on photonic mixers with graphene electrodes, and electronic oscillator concepts realized in graphene that can be combined with classical electronic approaches.